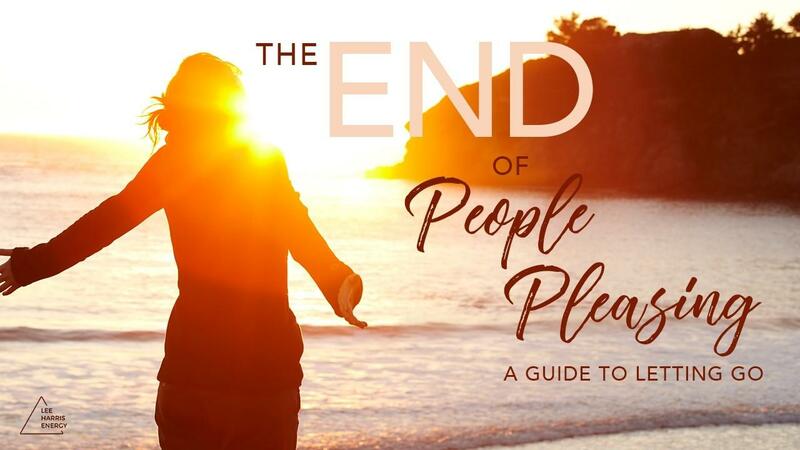 In this channelled teaching, Lee examines why people-pleasing shows up in our lives and how to move past it to embrace greater life force and happiness with whole-hearted compassion. “If you understood how short your lives really are you would stop people-pleasing immediately”. Learning to operate with more energetic honesty. Understanding how when you override your own feelings and desires to make others comfortable, you only hurt yourself (and why the current times are making it harder for you to do that). Learning to hold and lead with compassion as you change this dynamic. Finding the great lifeforce that can be awakened within when you break the people- pleasing pattern. People-pleasing is when you override your own instincts, feelings or desires in order to serve the feelings or desires of another, at your own expense. It plays out a lot - more than you realise. It shows up in very subtle ways and the problem with it is that it is a little like serving people food with low nutritional value (they will keep coming back hungry) and it’s also food that you don't have to spare. Learning to move past this dynamic is a great gift on your journey of growth. The beauty of this time you are in is that it is getting easier and easier for not just you but others on the planet to get in touch with their actual feelings - their centred feelings. When you stop being a people-pleaser, you become very good at knowing who you are there to help and who you are not, and this can release immense life force within you. This recording is an energetic invitation to allowing yourself this experience. This channel was recorded during Lee’s February 2018 Energy Mastery Experience event in Portland and also features the music and sound healing of Lee Harris, Davor Bozic and Narada Wise. Finding the great lifeforce that can be awakened within when you break the people-pleasing pattern.